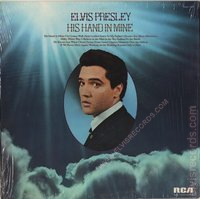 Cover Front: RCA and catalog number lower right corner and upper right corner. Formerly available as LSP-2328 lower right corner. Cover Back: White background, advertisements for other artists available in this series. 2 lower right corner. May or may not have RE lower left corner. Disc: (1976) Orange label. Track 2 below spindle hole on both sides. 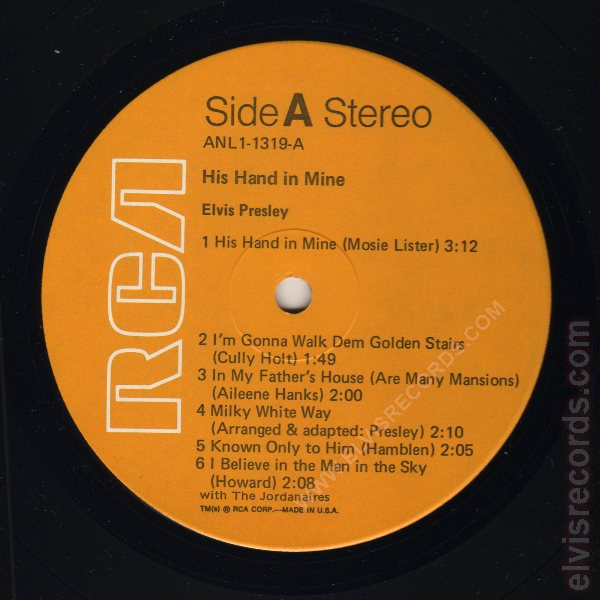 His Hand in Mine is small font on both sides. 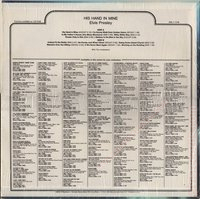 Side 1, Track 4, title on one line, arranged on another. 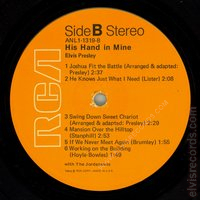 Side 2, Track 4 on one line. 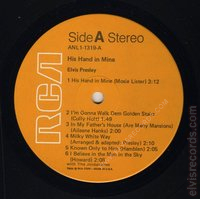 Disc: (1976) Orange label. Non-flexible vinyl. Track 2 above spindle hole on both sides. 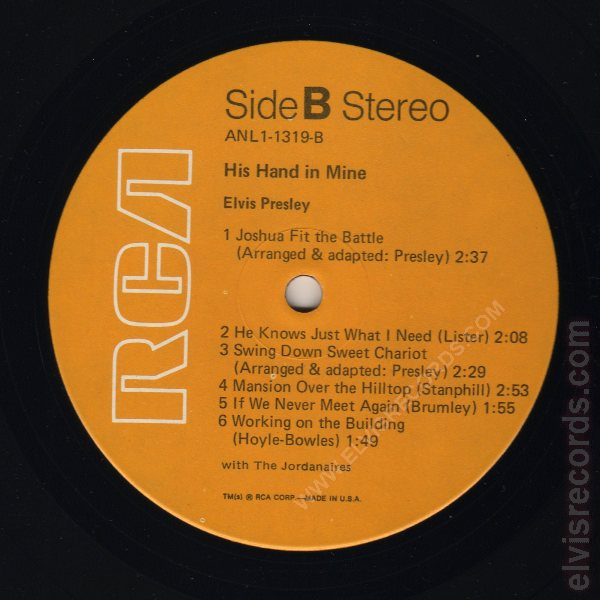 His Hand in Mine is large font on both sides. 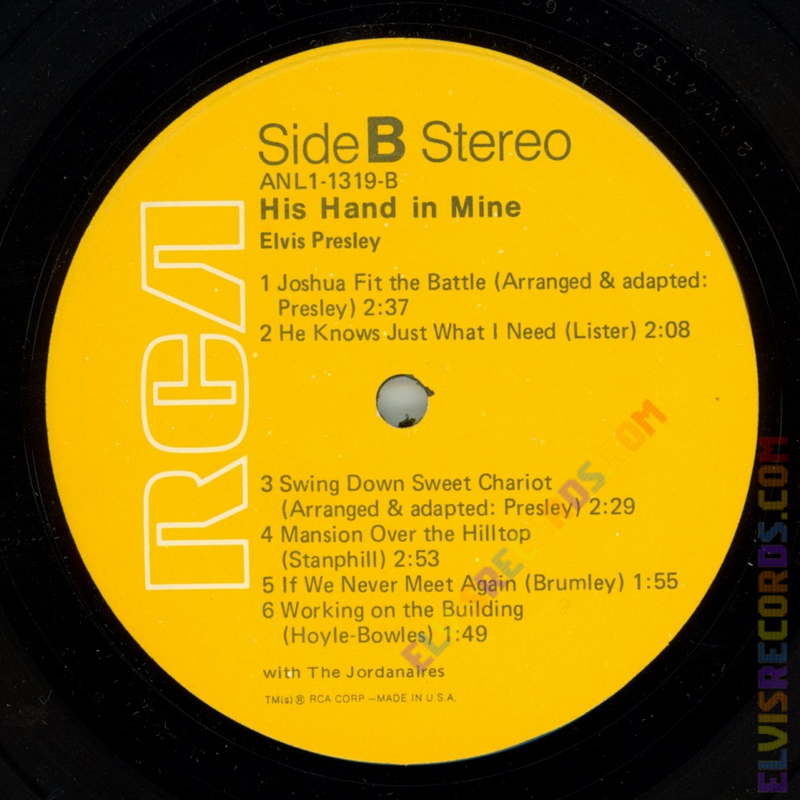 Side 1, Track 4, title on same line as arranged. 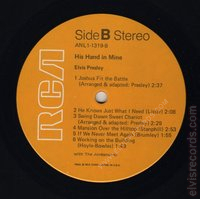 Side 2, Track 4 on two lines. 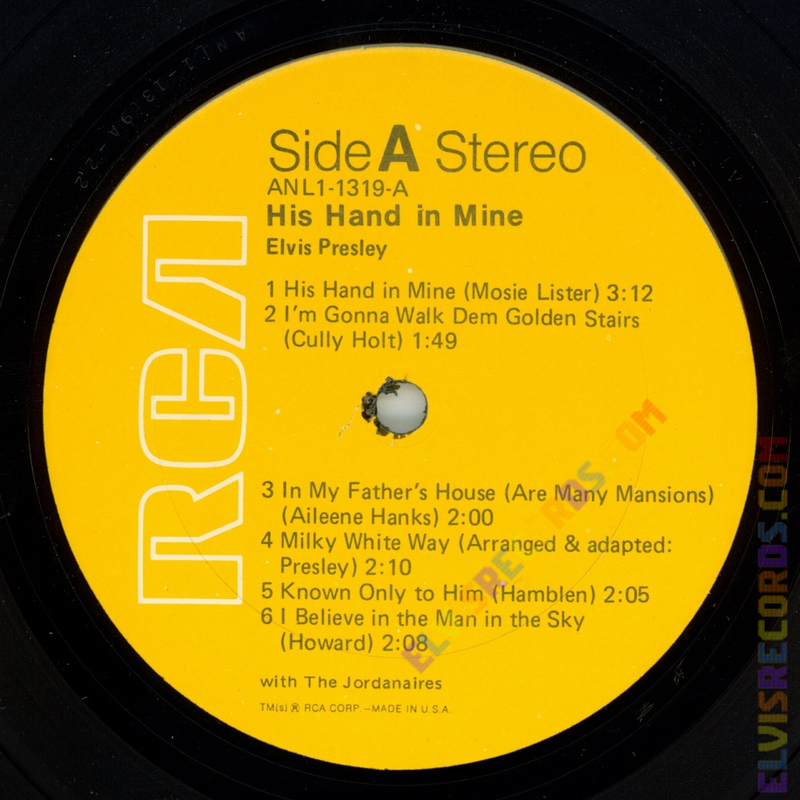 Disc: (1976) Yellow label. Flat label. Track 2 above spindle hole on both sides. His Hand in Mine is large font on both sides. 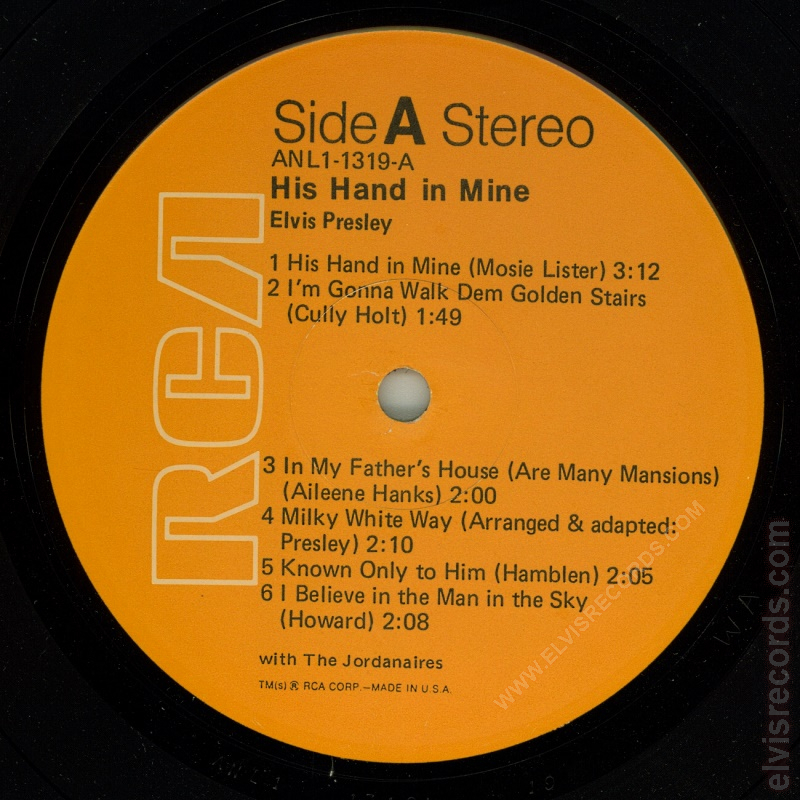 Side 1, Track 4, title on same line as arranged. 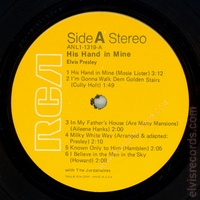 Side 2, Track 4 on two lines. 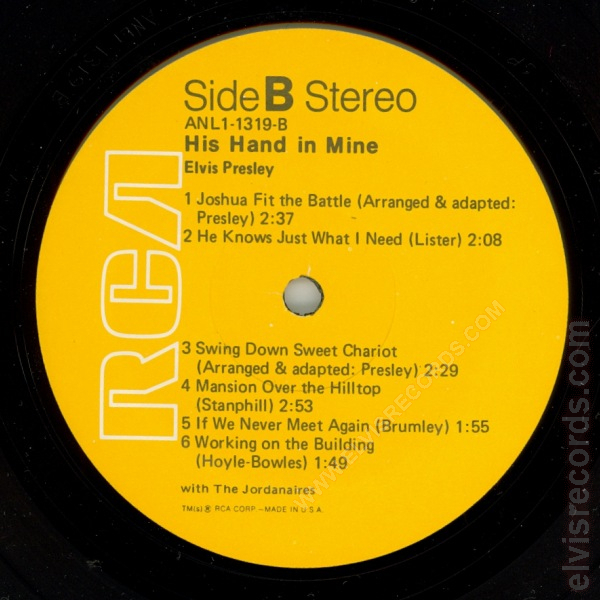 Disc: (1976) Yellow label. Ribbed label. Track 2 above spindle hole on both sides. His Hand in Mine is large font on both sides. 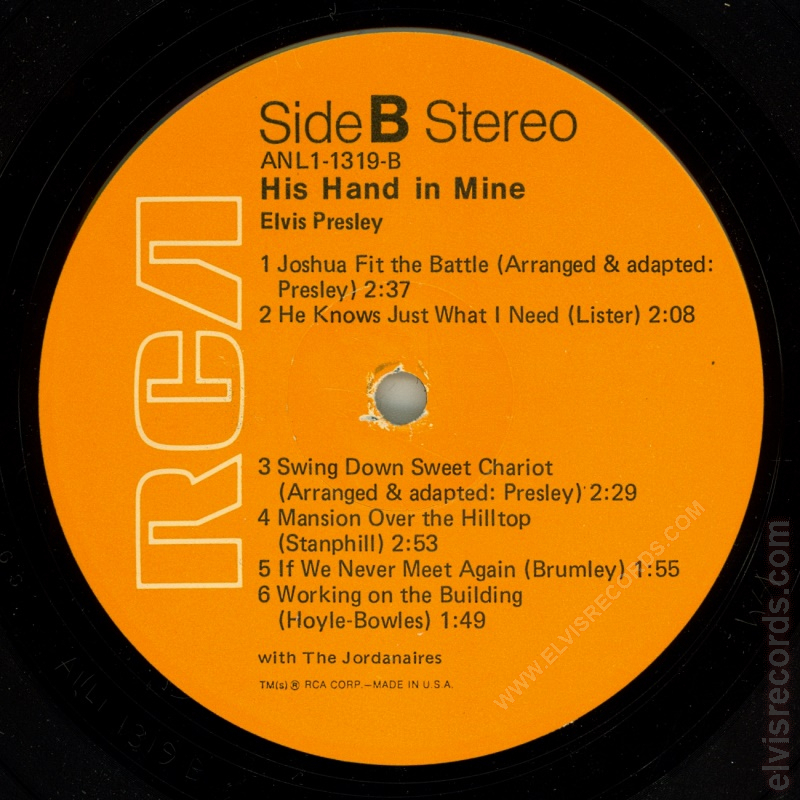 Side 1, Track 4, title on same line as arranged. Side 2, Track 4 on two lines. 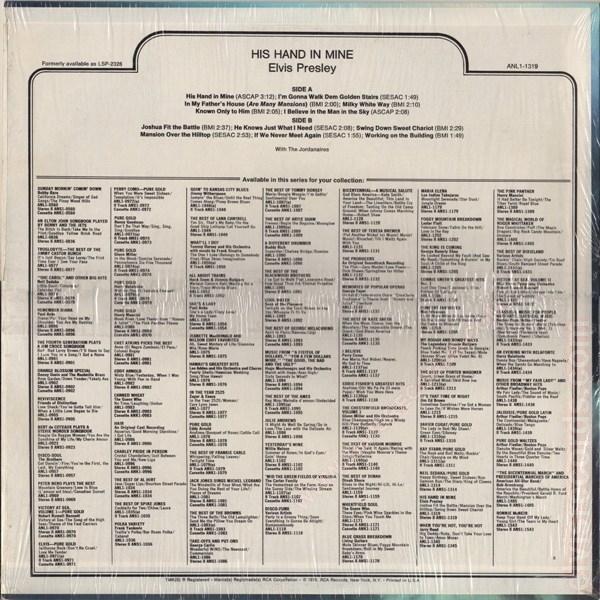 Formerly released as LSP-2328 His Hand in Mine and re-released as AYL1-3935 His Hand in Mine.